Earn up to 360 reward points. This book is an account of two brothers who were premier producers of stringed instruments in the early part of this century. Swedish immigrant cabinet makers Carl and August Larson made instruments under the brand names of Maurer, Prairie State, Euphonon, W.J. Dyer & Bro., Wm. C. Stahl, and under their own name, and their highly collectible creations are considered today to be some of the finest ever made. 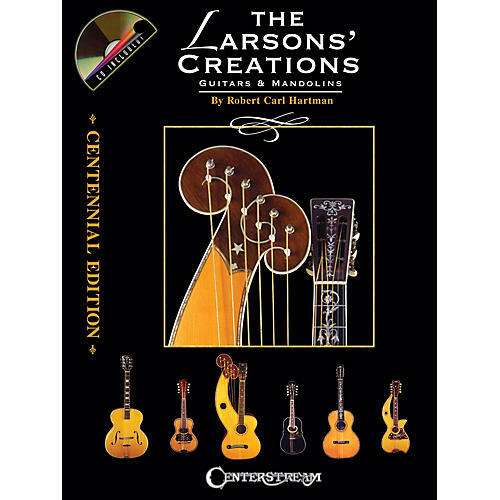 Lovingly researched and written by Robert Hartman, grandson of Carl Larson, The Larsons' Creations contains many beautiful color photos of these artful instruments, classic advertisements and catalogs, and a CD featuring guitarist Muriel Anderson playing 11 songs on 11 Larson instruments. Includes 16 pages of full-color photos!